It’s a serious thing. A tough pill to swallow. We might feel uncomfortable thinking about it, but a wise man thinks about death. We don’t just ponder on the future for the sake of it—we want to make sure our loved ones are protected and set-up for the future. “Protecting your loved ones” is a key pitch of life insurance providers—and it makes sense. But there’s an additional piece to consider beyond just life insurance, and that is funeral insurance. Have you ever thought about it? Here are some thoughts to consider when thinking if buying funeral insurance is a protective investment to consider. A loved one’s death—or our own—takes its toll emotionally. No one wants to feel the added stress of financial decisions when they are processing and grieving someone’s passing. Families that have acquired funeral insurance don’t have to feel the same burden or feel like they must “cut corners” financially while working through burial and funeral costs. Funerals, burials, and internments can be very expensive. You can protect others by getting yourself funeral insurance, and you can protect your own grieving time by buying burial insurance on someone else. Funeral insurance can provide you the peace of mind during a difficult season when someone passes away. It differs from life insurance in that it is tailored to help with all expenses related to the passing of a loved one or close friend. An individual’s estate can take weeks or months to be resolved. If a family or friend is waiting for these funds to become available to pay for a funeral, they may have to spend tens of thousands of dollars up front and wait to be “reimbursed.” It can be something people don’t feel comfortable having to deal with. Funeral insurance pays a lump sum up front to the designee so they can quickly plan and pay for the proceedings. What’s the Cost of Funeral Insurance? Individuals may not be able to pay the cost of complete life insurance, so funeral insurance is a good option to consider. Assuming someone is a non-smoker, a male aged 50 may pay approximately $15 a month for coverage, or $12 for a female. For $10,000 or $15,000 of coverage, expect to simply double or triple that premium. If a man or woman seeking coverage is 70, a $5000 cover may cost around $80-$90 for a man or $50 for a woman. Again, you would double or triple these premiums for $10,000 or $15,000 coverages. If the individual is a smoker, expect to pay 50%-100% more for funeral insurance. Life and funeral insurance can be difficult to discuss and think about. But just as with any financial or insurance decision, it should be considered for our own sake, our family’s sake, and even for our close friends. Interesting idea – I had no idea this even existed! Yeah something like this might make sense when you have no liabilities to leave behind but still want your funeral to be covered. How have I never heard about funeral insurance before? I bet it would help with a lot of the stress and emotion that goes with planning a funeral. That’s for sure. When facing something so emotional, who wants to also worry about the big cost of the funeral. It’s best to at least have that paid for. I had no idea this existed either! My grandmother passed away a few months ago and I’m sure she didn’t have this. She has 6 children so they foot the cost between them. Another financial things to think about it. Thanks for writing about this! Todd, out of curiosity, how much does an average funeral cost? It seems to run in the thousands. At least she had 6 kids to split the cost. It would be a lot worse if just a single kid to pay the bill. I’d think the cost of a funeral would vary a lot depending on the amount of family and friends, burial vs cremation, etc. My guess would be about $10k for a lot of them. I’m sure that was considered with the $10-15k coverage mentioned. I had no idea there was such a thing, but it does seem to make since. Not sure how many people would actually purchase it though. Yeah I think most people would opt for regular life insurance instead. It is only very specific people who only really want their funeral to be covered by insurance. I’m not saying I’m just saying. Do you know how much your organs are worth? Have you heard about how much money people are paying in the “black market” for organs? You may want to sell your body for scrap parts when you die, hey it ain’t like you’re going to need those eye balls anymore why not make another $50k for your loved ones? I would not want to be a burden to family, so far funeral insurance is included in my credit card. It could be included in your home insurance too, many people are over insured for it. That’s interesting that it’s included with your credit card. I wouldn’t have expected that. Same goes for home insurance. I don’t really see why it would be included there which makes it not surprising that people would over insure for it. I have to admit, I haven’t ever thought of funeral insurance before. Hopefully I don’t have to worry about that for myself or my wife anytime soon because we’re both in our mid 20’s. Yes at that age most people wouldn’t be worried about it. If you have kids though, it might be worth considering depending on whether you have life insurance already or not. 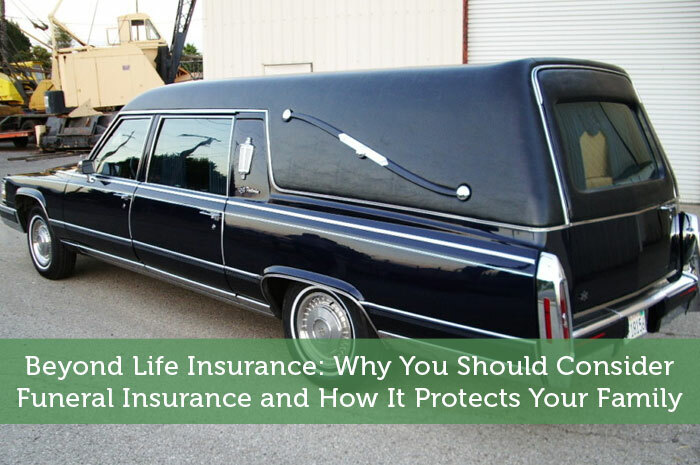 Life insurance proceeds would be available quickly, and could pay for the funeral costs if necessary. You’ll probably get a better bang for your buck if you have a simple life insurance policy as opposed to funeral insurance. I’ve always heard it can make very good sense to pre-buy your gravesite, casket, etc. versus going the insurance route. Something to definitely look into as we get closer to end of life. That makes a lot of sense. They’d probably give you a better deal than the insurance company since they know they can overcharge a big company. The sad reality is many people don’t think of this until it is too late. My friend’s dad passed away a few months ago with no life insurance and no funeral insurance. They had to have a single day service and cremation and it was a struggle to cover those costs. It really made me think. Its indeed a sad fate. I think its better to secure insurance cover when one can and as early as possible…in most cases we think we are young or super-healthy and don’t need insurance but $hit happens when you least expect and you really struggle with a predicament when you can have mitigated some of it with insurance cover. It may sound creepy or odd but time will come that we need it. Sometimes, we are scared to face this reality for some reason. It would be challenging to plan this when mourning and the good thing if we are prepared is that our family will not worry nothing anymore. This is also applicable in health and education. Sooner or later our body will deteriorate and we need to prepare for illness. It would be great to be fit and prevent illness but who knows? Just be prepared. If we have a family, our kids will go to school and we need to prepare for that. Start planning now.